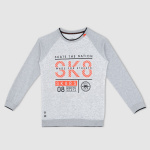 Winters will not be a hindrance to your kid's style when you get him this printed sweat top. 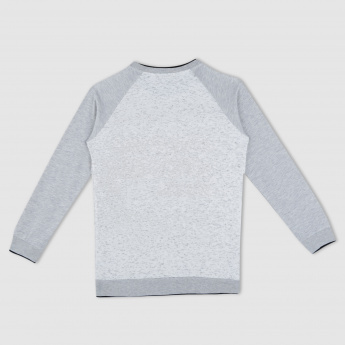 It has raglan sleeves and cuffs that fit well. The print on the front is bold and attractive.